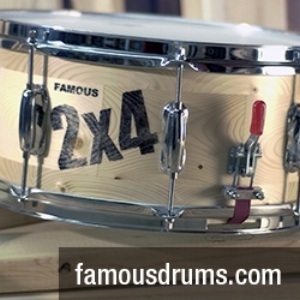 Chicago played such a role in the 20th century history of American drum companies. 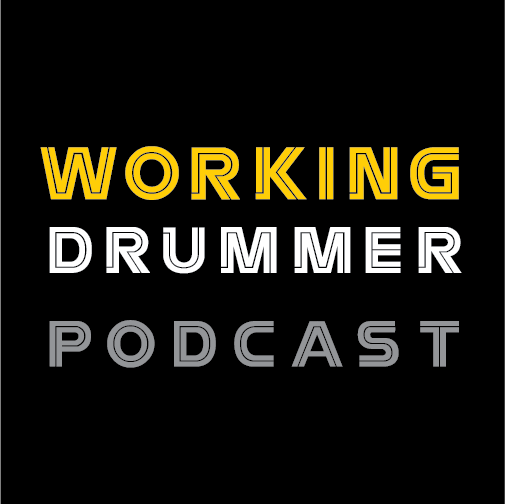 Ludwig, Slingerland, Camco, Liberty, Lyon & Healy, Novak Drum Supply, and today’s featured company—Wilson Brothers. 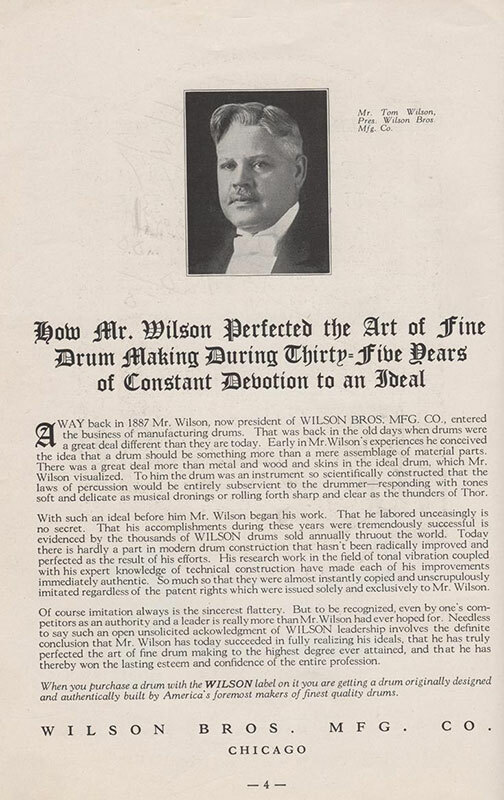 Tom Wilson stated that he became involved with drum building in 1887, and by 1907, he was a principal in Wilson-Jacobs, the predecessor manufacturer to Wilson Brothers, founded in 1917. Wilson-Jacobs sold drums to music stores and distributors for their private labels. Wilson Brothers sold directly to the public, at first, and, then, through music stores. I have no information on Tom’s other brother or brothers. Rumor has it that Tom Wilson worked at Lyon & Healey and learned his craft there, before later buying the drum works of that prestigious organization and running Wilson Brothers until the late 1920s. Wilson first made drums and traps, sold Leedy timpani along with his own, and later added banjos just like competitors Leedy and Ludwig & Ludwig, by 1926. I found the price list, and on it, and not in the catalog is some extra information. Wilson offered gold plating, gold-bronze plating and gunmetal shells with either gold-bronze or nickel parts. There was no mention of engraving available. 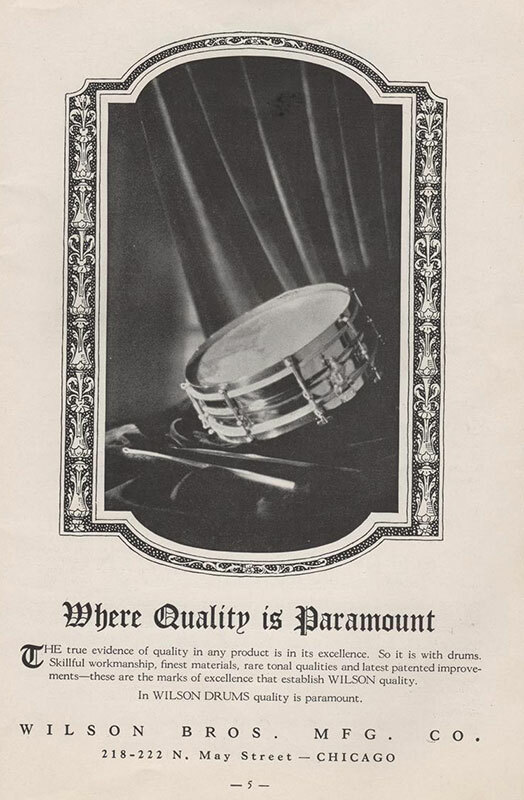 Here is a description of the 1922 catalog from a press release I found in a magazine: “with 96 pages showing 97 different sizes and models of snare drums, 98 different models and sizes of bass drums, and 5 complete drum outfits, this catalog....carries a significant message pertaining to ‘Perfecting the Art of Fine Drum Making—An Achievement Born of 35 Years of Experience in Making America’s Finest Drums.’ “ Well, with those words, a red cover catalog with a black and gold Wilson Brothers Trade-Mark with heavy stock paper with a color section, was released to the public, packed with the aforementioned drums, a lot of traps and Deagan mallet instruments. It is impressive for the time. Tom Wilson appears to be about 50 in the picture shown in the catalog. I found one reference to Wilson Brothers assets being sold at auction in 1929 to Novak Drum Supply, and the supposition is that the company was gone by the time Leedy and Ludwig & Ludwig sold to Conn in September, 1929. I would suppose the same market forces that hurt the biggest two manufacturers, negatively affected Wilson Brothers as well. From the look of their catalog and the press releases I found, plus the picture of the factory, they certainly looked the part of a major contender. I just haven’t seen enough of surviving product to think they were as prominent as these clues may lead us to believe. 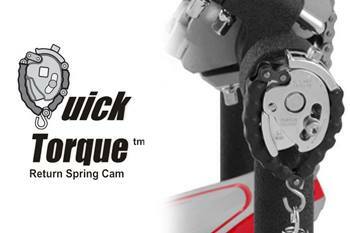 Let us know what you may have seen or heard about Wilson.